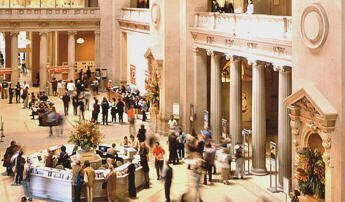 Millions of people visit and explore the Metropolitan Museum of Art in New York City. They even buy expensive merchandise from the Musuem store without ever setting foot in the Met building. Instead, they visit the Museum Web site. Interactive Museum websites may have reduced the entry ticket sales but the authorities aren't complaining. Infact, they have budgeted $1 million a year on maintaing their website. Online visitors have actually become a robust source of revenue. Last year it earned $6.5 million in total revenue, a figure that includes its memberships, shop and fund-raising efforts.